Netguru partnered with temi on building the operation system for the robot. We also created Android and iOS applications that control it. 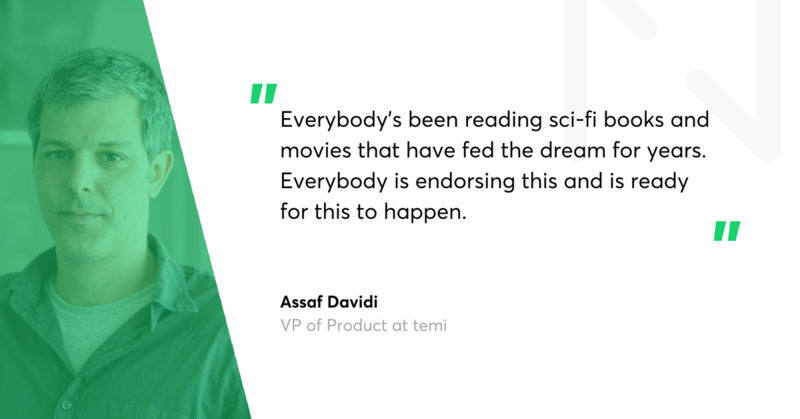 During three years of collaboration with temi, a joint team of developers, project managers and quality assurance specialists working from Israel, China, and Poland created a comprehensive and user-friendly product. They used a wide range of new technologies such as natural language processing and transferring data in the cloud. 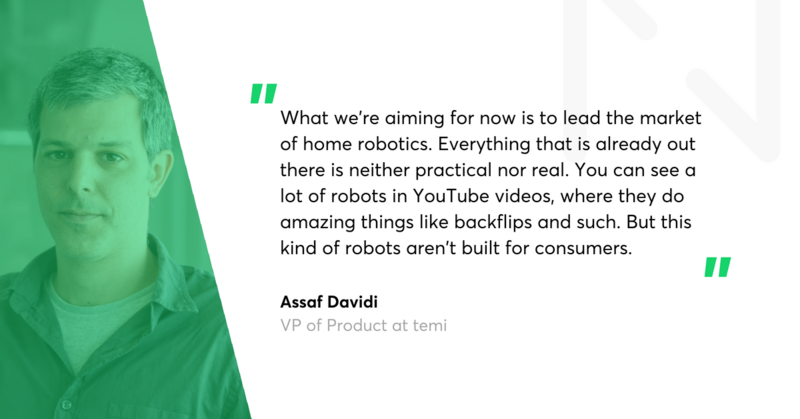 We spoke with Assaf Davidi, VP of Product at temi, about the origin of temi, the personal robot, its features, and the potential use cases for the product. 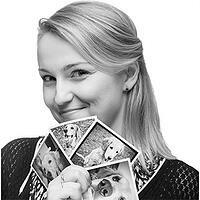 Aleksandra Prejs: What was the very first idea behind temi's birth? Assaf Davidi: At the very early stages, the product we had on the table was something different than the current device. We were thinking of robots that would help the elderly. They would carry stuff around the house, and allow a person to lean against them when in need of support. Such a robot could be a substitute for a walking stick. The initial designs showed something that resembled a robotic coffee table rather than a personal assistant robot. Then, we realised two things. First of all, seniors don't like products targeted directly at the elderly. They don't want to feel needy, and it’s not appealing for them. The second thing we realised was that we were going into people’s houses with an actual moving robot. So the opportunities were much wider. 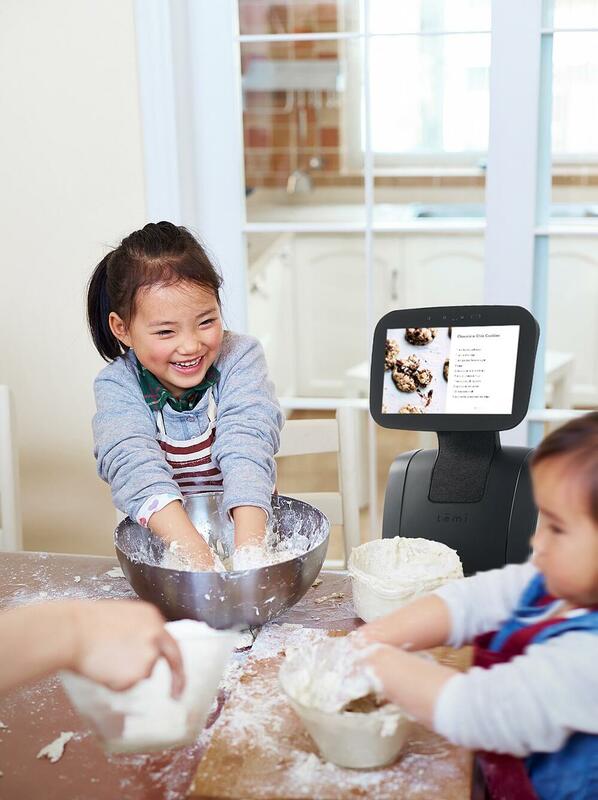 Many other target groups might need a personal assistant robot but with a different design. So we decided to go for an actual personal assistant with video capabilities, which could move freely around anybody’s house. And what prompted you to get into the domestic robot industry? Why domestic robots? The DNA of the company is robotics. Yossi Wolf, the founder of Roboteam, comes from a company that creates robots for the defense industry. It was very natural for them to go forward with robotic products. Defence is another niche. What we're aiming for now is to lead the market of home robotics. Everything that is already out there is neither practical nor real. You can see a lot of robots in YouTube videos, where they do amazing things like backflips and such. But this kind of robots aren’t built for consumers. These robots cannot be purchased, and even if you can, it's super expensive. We thought we could create a premium device at a good price. Something that everybody can afford. 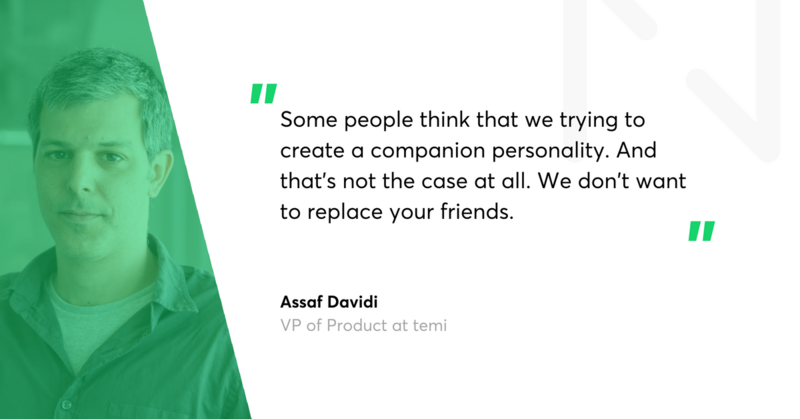 There is a quote by Yossi on your webpage that says: "While smartphones keep us connected at any time, temi, the personal robot, keeps us present anywhere.” How do you interpret the quote? temi brings three things. First of all, it’s a moving personal assistant. The second, and even more important feature, is the temi video calls. Currently standard video calls will allow you to call somebody and see them in decent quality. The actual UX is not good enough. You either have to sit and talk on a stationary device, or you call someone’s mobile where someone has to carry you. When I'm away, and I'm calling my kids at home, my wife has to hold her hand in an unnatural way, chasing after my kids and trying to get their attention. And usually, the duration of such a call is about three minutes. It's more like a chance to pass the message “I love you guys”. And that’s it. 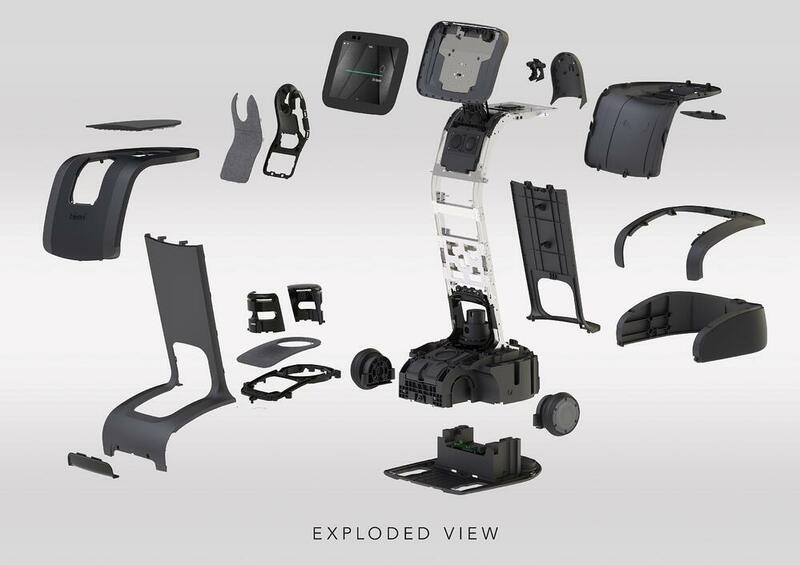 With temi, you can actually move around independently without being a professional driver. temi brings a new experience. Where you can be somewhere you’re not physically present in. 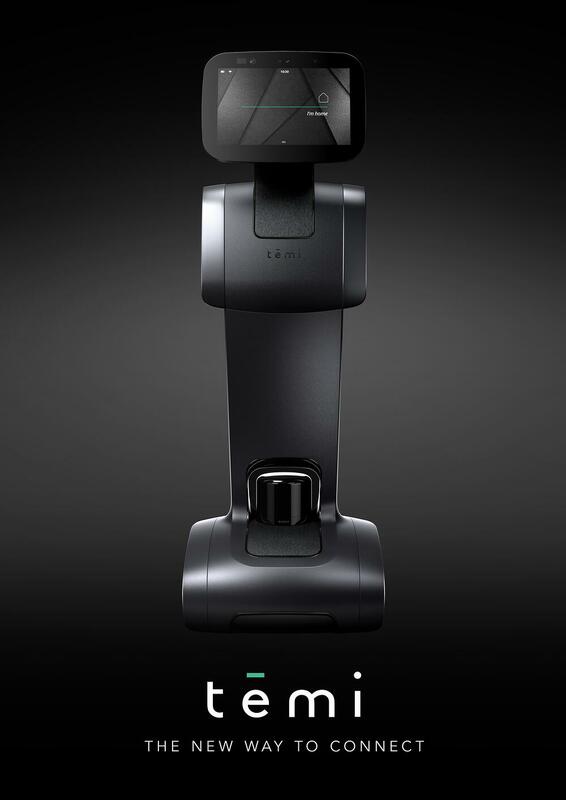 When I call my temi robot with my mobile device, as an owner, I don't need anyone to carry the device for me. I don't even need anyone to pick up the call. I can come into my house, and be present with my wife, kids. It is very important for us to create a UX that will impress everybody not only gamers or drivers. You don't need to practice your driving skills for the robot. The robot does it for you. This allows you to hang out for much longer time and get comfortable with your companion. Who is your target group and whose lives can be changed thanks to temi? For example, will the robot be able to help disabled people or people who need constant care from other family members? We don’t target a specific audience. We're looking for people who love tech and are not afraid to spend some money on it. The cost of temi to the customer is $1499 - lower than a MacBook Pro, so it’ affordable. People who love gadgets will appreciate the idea of temi. At the same time, the product can assist the elderly. The device has a tray. This tray is part of the evolution that we went through. 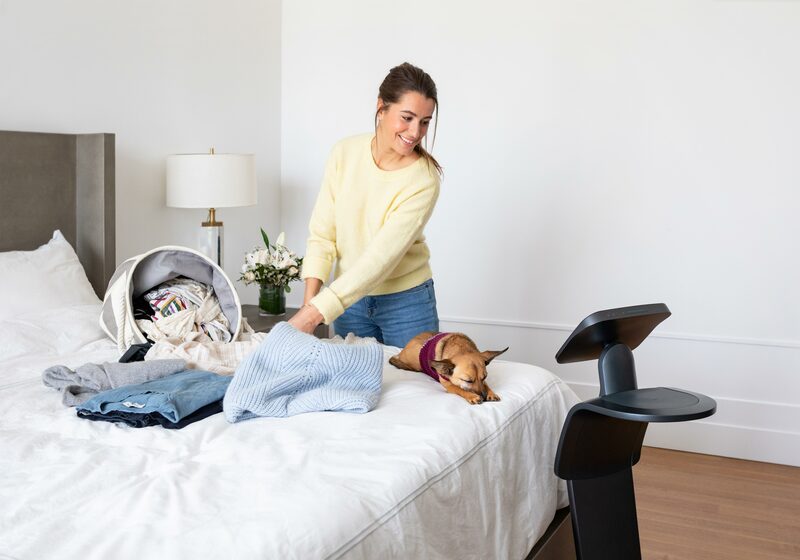 The robot can carry stuff, you can lean on it – it can help the elderly. temi would also be great for families that are apart. A lot of people don’t see their families very often. It is always a thrill to jump in, say hello and hang out for a little while. Besides that, it’s an immersive moving platform. We have an SDK that allows third-party developers to write custom apps. Just like developers can build apps for TVs, mobile phones, tablets, and so on. Now, we offer them a moving platform – and it opens many new opportunities. They can create security apps, games, or movement sequences inside the house, e.g. tell the robot to pass a message to someone, go back, and play music. The platform brings creative space that allows many new ideas. We’ve already discussed the potential use cases of temi. Will the robot also be useful for some specific industries? We aim for mass production and mass use. We definitely think that it might be useful for specific industries. For instance, you can use it for education. You can teach robotics or coding, languages,history, or any subject. And, of course, we envision temi working in offices and and other businesses. It can be a bellboy in a hotel that will walk you around the place, show you around a restaurant, and get customers from the door to the table, any company that has multiple offices can use temi constantly for meetings including distant team members. You could find a lot of uses for specific businesses. Could you share any insights by the beta testers who tested temi? How do people play with it, how do they use it, how do they feel about having a robot in their homes? Well everybody is very excited about it. The first reaction is excitement. Everybody's been reading sci-fi books and movies that have fed the dream for years. Everybody is endorsing this and is ready for this to happen. A few months ago, we went on a trip to the U.S., where we ran an early-adopter program. We came into people's houses – those were real families and real users. We demoed the robot and gave them a chance to test it. We saw some great reactions. First of all, people like the look and size of the product and the way it moves. It maintains a very smooth motion and is pretty predictable. People found the robot very natural and weren’t intimidated by its presence. Now regarding the interface and communication. These days, they are a bit easier because you have some other personal assistant applications that do the teaching for us. It’s easy to ask a user to talk to a non-human device. It’s not such a big deal anymore. And how do the animals react to temi? I have a dog myself, and you can see the same reaction as cats react to a vacuum cleaner. temi is not the first device that is moving in the house. But it is the first device to communicate with the user that lives in the house. For example, a vacuum cleaner is not aware of the creatures who share the house with it. And our device is well aware of them. So if the dog comes close to it, it won’t run it over. We could even develop some pet applications that could recognise a dog and, for example, bark at it in a friendly way. You’ve mentioned that people have already got accustomed to talking to software. I’d like to ask you what differentiates temi from other voice assistants. Let’s take Alexa as an example. First of all, it's a personal assistant, so it has the same assets and a similar role. It has to deliver content to the user. But this thing is moving. So you can use it in different places around the house. Alexa is always connected to a core. So it’s a stationary device. And the other thing is that temi has a screen and the screen is a game changer. Recently, Amazon came out with the Echo Show which is an evolution of the speaker. I think it’s quite limited when it comes to its abilities. Because when I ask it where the Eiffel Tower is, I'd like to see an image, I'd like to see the title, the text, and read them at my own pace. Sometimes I want to scroll back or forward. Not everything is better with voice directions. When you have a hybrid UX, you can achieve a much better experience for your users. An experience that can combine both touch and voice. Everyone has their advantages. Our device has a screen, and it can move. These features are the big differences between Alexa and us. How many people are involved in writing reactions to the voice assistant? We put a lot of effort in Natural Language Processing (NLP). It was hard to learn it at first, to know how to build this architecture and support multiple types of content. Once we got it, it was the matter of effort with putting more jokes, more small talk, even more real skills. I’ve been reading a lot of articles about personal assistants and how people react to them. It seems that when people don’t know what to do, they resort to the small talk feature. And they say “Hi”, “Hello!, “How are you?”. This experience is insufficient. You cannot do this for long. It’s entertaining, and entertainment has to be dynamic. We’ve put a lot of effort on the small talk feature, for sure. But we’ve put even more effort into temi’s skills fulfilments so that they be more productive and deliver something that is valuable. The small talk and the jokes are important as this is part of the brand and the personality of a personal assistant. We have to put effort into improving that. We have a creative group that works on comments, jokes, and riddles. Some people think that we trying to create a companion personality. And that’s not the case at all. We don’t want to replace your friends. This is not the goal here. On the contrary. We want to be a personal assistant software. My goal is for the users to understand what temi can do and how you can ask for it. We’re trying to emphasise human relations not substitute them. Are there any people who oppose the idea of temi? What are their arguments? Only people who haven’t seen it yet. When we, for example, post something on Facebook or when I’m telling my friends about temi, the first question would be: does it fold my laundry? Will it do the dishes? When they realise it doesn’t, they might feel a little disappointed. When they see it, there’s a different reaction. When we did this US trip to see people’s houses, I was a little worried. I thought about the fact that the real users didn’t see it yet. We spent a lot of time in the lab, and you can never be certain of what the reaction to such a device would be. People’s reactions were amazing. It was a 100-percent success. It didn’t confuse anybody. It didn’t feel like a toy. It felt like a moving platform, so grownups felt comfortable with it. Until now, no bad reactions. We expect a lot of robots whose purpose is to help humans. At the same time, there is a great deal of fear that robots will replace humans some day. 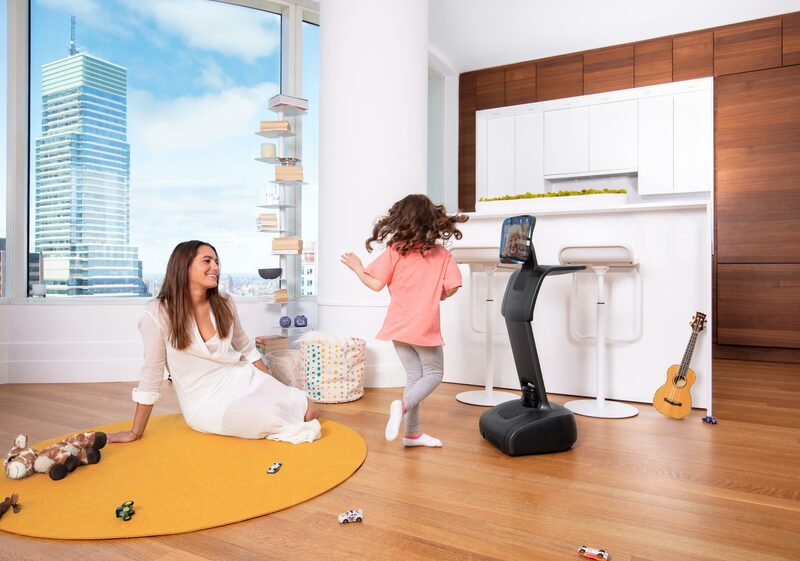 What do you think the future of household robotics will be? What value could you bring to society? I will start with the last question. We bring a better and easier way to communicate with people. You can have a very long video call, hands-free. You can talk with people that are far away as if they were with you in the same room. This is a big change in people’s lives. People worry about robotics taking control over the world. I’m not worried about it because, first of all, robots are not smart at all. If anybody took control of the world, it would be evil humans. People should have the same fear towards autonomous cars, but I don’t share this fear at all because I think an automated device’s behaviour is its maker’s responsibility. The software is not smart, and it doesn’t make decisions. I don’t think many people are interested in substituting humans or giving software the privilege of making major decisions. So as long as we’re responsible, I don’t see any real threat here. What are key steps in the development of a domestic robot? I guess the roadmap here is similar to that of any other product. For me, this is the first device that I’ve worked on. My background is software, so I usually operate inside a phone or a browser – inside a computer. When working on a device, you have to learn the environment you will be working on first. Now, the problem is that our environment is not a computer screen but a living room. And living rooms are often a mess. Even a road is usually cleaner than a living room. A road is predictable, because people use it for a few defined purposes. In contrast, just about anything can happen in a living room. The robot’s navigation is amazing. As with any other product, you need to know that you make a promise to the users. You have to know what you can offer. This is why temi doesn’t have arms. If it had arms, we wouldn't be able to sell it because it would cost way too much. It could even seem scary to people. You can afford two temis with the money you would spend on a robot with arms. Was any component more important than any other? For example, the design of the technology? Let’s talk about the design of the actual device. The device design has to work with the style of an apartment. Apartments are not easy – everybody has an apartment in their own style. I bet that neither I nor you, nor anybody around you lives in an IKEA store. Our apartments are full of random stuff that we collect as time goes by. Not everybody can hire a designer to design every detail of the living room. So you cannot choose one specific design that will fit everybody. At the same time, you don’t have to, because when you put a TV in your room, it usually has a very generic kind of look. It doesn’t have to be in a very specific colour or made of a special material to suit a particular apartment. We came with a slick, simple design that should be appealing to everybody in general. It should look pretty nice in a living room. So this is about the design. Also, if you’re talking about domestic robots, you also have to talk about the sensors. You need numerous sensors for a domestic robot, because everything has to happen in real time. Unlike with other appliances, we don’t have a chance to plan what would happen before it actually occurs. Everything happens right here, right now because the environment is changing all the time. We needed a strong CPU and a whole lot of sensors to accomplish this. How would you define the value Netguru added to Roboteam? In what way did Netguru help you to achieve your goals? We’ve had a long-term relationship with Netguru. We’ve been doing this for a few years already. Netguru is a great service provider. I like working with the team, it’s super professional, and they’re nice people to work with. What I like about this relationship is that an external provider always brings new knowledge to the team. Sometimes, when you work on a project, it’s hard to notice some stuff that is happening out there. And when you have an external provider, they always bring in new technologies, new methodologies, and a new perspective. What will be the primary challenge for temi in 2018? And in the long run? Well, we need to release the product. We’re almost there. We aim to open the stores later this year and sell devices by the end of the year. We decided to start with two regions: China and the US. These are big markets. In the long run, we want temi to be the icon of a domestic robot. We will keep on developing it, creating new versions, and extending its abilities. And what will be the main challenge in becoming a paragon of home robotics? The challenge is explaining the product. Like I said, when I say “home robotics,” people think of C3-PO from Star Wars, and we don’t do that. temi is not that guy. Some people think of futuristic sci-fi stuff that doesn’t exist. The challenge is to explain what’s real and how easy and fun it is to use it. I hope we manage to achieve it.